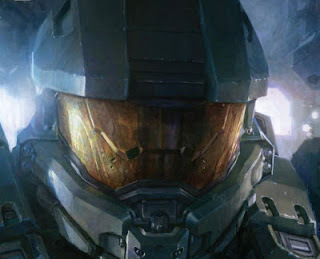 Here are Halo 4 details from the May issue of Game Informer. The multiplayer is summarized by "How Was Your Day" from the Halo Waypoint forums. This was probably my most favorite addition I saw. From how it was described, think for Spartan Ops like Spec Ops from Modern Warfare but with a storyline. They will span out over several months, encouraging players to return to the game. Game Informer said that Spartan Ops will be comparable in scope and size to the in single-player storyline. I think most of us probably guessed this, but reds fight blues and blues fight reds for training purposes. They fight in something called the UNSC Infinity. The UNSC Infinity is a 3km long ship sent into deep space on a mission. It contains a virtual reality sector that creates the multiplayer experience. So not only is sprint in the game, but it is a standard armor ability. You do not need to pick it up, it will always be available. You do not need to buy it with your Spartan Points, you will always have it equipped no matter what. So essentially, you can have two armor abilities. Ever wanted to be super man? Now you can! See through walls with your x-ray vision! I can't say I hate this armor ability, I haven't used it yet. I'm hoping it comes with its weaknesses and it discourages camping. Sorry guys, but camping in Halo 4 will not be a legitimate tactic. The hologram, jetpack, and active camo will make a return in Halo 4. It didn't elaborate on the abilities, but you can probably assume they'll be about the same. Not much detail was given as to why elites will not see multiplayer combat, it was stated in a picture caption. The caption reads, "Competitive multiplayer focues on the Spartan IVs. Elites will not be playable. Now the article itself did not talk about grenades, but I noticed in the picture the Spartan had 4 grenade options. I assume the plasma grenade will return as seen from an explosion in the picture and the frag grenade will most definitely return as seen by the Halo 4 first look video. Once again, no explanation why aside from a picture caption. The caption read, "Halo 4's campaign is still playable with four players online (in reference to Sparan Ops, ensuring players that Spartan Ops will not replace the campaign coop experience). 343 Industries has no plans to include a dedicated Firefight mode. I'm torn on this, I don't normally play firefight, but I feel like it is a standard necessary feature in the game after Halo 3: ODST introduced it. Regicide is a variation of free for all. I think it's similar to VIP. Regicide, as stated by the article, "sets the leading scorer as the king. Every opponent that the king kills raises his bounty; other players have to kill the king to claim the reward." Don't feel bad anymore for not killing a single person in the game, you can get a medal for being a distraction! Oh, you just got killed and now you're raging at that player? Calm down and get rewarded for hunting down the guy that just killed you! Let me make it clear that I do not necessarily see these medals as bad. They just may reward people that don't actually deserve one. One the skills that separated veteran players from inexperienced players was the ability to time power weapons' spawns. In Halo 4, this will be near impossible. Weapons drop down in drop pods at random locations around the map. Quoted from the article, "This gives the matches other focal points, and it also helps alleviate the advantage longtime players always used to have over newer recruits; the best weapons are not always going to be found at the same spawn locations." Unless there is a distinguishable skill gap between players, I most definitely do not like this idea. Immediately after you die, by tapping the X button you are sent back into the match. Now let's contemplate why this might be bad. Let's say Halo spawns are... not so great. A skilled player out BRs/DMRs/whatevers a unskilled player. Now that unskilled player can immediately respawn and find you before your shields even regenerate! I understand 343 is trying to speed up the game, but they must understand the consequences of instant spawns. So to solve the quitting problem, 343 implemented the ability to join games that are in-progress. My question is are we going to have the ability to search for games starting up instead? It infuriates me to join a game at the last possible second, not even offering me the chance to play.